A federal trial to decide whether Michigan Republicans illegally drew political districts in 2011 to consolidate their power is set to begin Tuesday in U.S. District Court in downtown Detroit. DETROIT – A federal court on Friday rejected an attempt to settle a Michigan gerrymandering case that would have redrawn 11 state House districts before the 2020 elections. The ruling paves the way for a trial to start in the explosive case Tuesday. A three-judge panel from U.S. District Court hearing the case ruled Friday that Michigan Secretary of State Jocelyn Benson doesn’t have standing to offer a settlement and that the state constitution gives the Michigan Legislature alone the power to redraw legislative districts. The court also rejected all attempts to delay the trial, now scheduled to begin Tuesday at 9 a.m. in U.S. District Court in downtown Detroit. In a flurry of orders late Friday, the court rejected both the settlement and delay efforts, while also allowing three Republican state senators, as well as the entire Republican-majority state Senate, to intervene in the case to defend 2011 political maps at the heart of the case. The suit was originally defended by then-Secretary of State Ruth Johnson, a Republican. But after Benson, a Democrat, was elected in November and took office Jan. 1, she took on the office’s defense of the suit and opted to no longer fight the allegations. That in turn prompting Republican Senators Jim Stamas, Lana Theis and Ken Horn to seek to join the case. All represent Senate districts challenged by plaintiffs as being drawn to give Republicans an advantage. Benson, a Democrat, had sought to negotiate a settlement of the case with the plaintiffs in the case, the League of Women voters, one of several high-profile lawsuits around the nation alleging illegal gerrymandering by state political parties. In all, the League of Women Voters, alleged that 34 state Legislature and congressional districts were illegally drawn by Republicans back in 2011 to favor the GOP and limit Democratic seats. 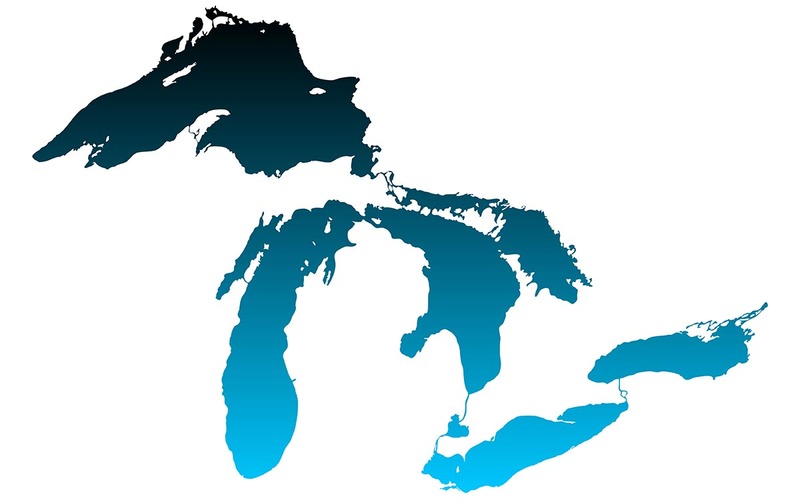 The suit attacks Michigan’s method for creating legislative districts, which has long given the party in power in Lansing leeway to draw legislative and congressional maps. Two Republican state representatives, including House Speaker Lee Chatfield of Levering, had argued to the court that Benson did not have the authority to order the redrawing of maps. On Friday, Judges Denise Page Hood and Eric Clay, both appointed by a Democratic president, and Gordon Quist, appointed by a Republican, agreed. In the past few weeks, the panel overseeing the bitter case has received multiple requests to put the trial on ice, including from Republicans who want to delay the case until the U.S. Supreme Court hears gerrymandering cases this spring in Maryland and North Carolina. The late-Friday filings are the latest in a contentious case that Benson’s office says has already cost taxpayers nearly $900,000 to defend. Since then, the case has uncovered troves of emails showing Republicans met behind locked doors to draw districts to their advantage. Among other emails uncovered in the case, GOP consultants bragged lines were drawn to give Republicans a “solid 9-5 [congressional] delegation” and another joked about configuring a district so it’s “it’s giving the finger to (former Democratic U.S. Rep.) sandy levin and discussed cramming “Dem garbage” into four southeast Michigan districts. Inherently political, the case became even more heated after Benson was elected in November to succeed Republican Johnson as secretary of state. Johnson had been the main defendant in the case and her attorneys repeatedly sought to delay or dismiss it, arguing the districts were drawn legally and the case was a waste of time since new districts will be drawn after the 2020 Census. What’s more, politicians in Michigan will no longer draw districts following the 2020 election, after voters in November approved a measure that would take those decisions away from politicians and put them in the hands of an independent citizens panel that will convene in 2021. Benson, the former dean of the Wayne State University Law School, has said she studied the case and concluded Michigan would likely lose, making a settlement appropriate. She also noted that the proposed settlement only dealt with a minority portion of the legislative and congressional districts criticized by plaintiffs. “Continued defense of the 2011 redistricted maps in their current form would only serve to perpetuate, rather than mitigate, partisan gerrymandering, while risking the imposition of substantial burdens on the taxpayers and voters if the Plaintiffs’ claims were ultimately to succeed,” Benson’s attorneys wrote in a brief last week. That’s prompted Republicans to accuse Benson of being in cahoots with Brewer and to petition the court to remove her as the case’s primary defendant. “She does not plan to call any witnesses and … admitted that she will not defend the maps that are the issue in this lawsuit,” lawyers for Republicans wrote in a motion last week. Judges Hood and Clay were appointed by President Bill Clinton, a Democrat. Quist was appointed to the bench by President George H.W. Bush, a Republican. Did not the people of MI vote to take the power away from them Nazi republicans and put in the hands of the people of MI??? O that rught them Nazi change that law that the people of MI voted for!!! Yes Don, and if you can read? that starts in 2020. So does SOS Benson blame the League of Women Voters, her Democratic party and their Court Jester Brewer for making the state spend $900,000 of taxpayer money to defend a law and process that will be changed in 2 years anyway? I missed that. Maybe she correctly blames the Republicans for their abuse of the redisricting process that made the lawsuit necessary in the first place.